The Fraser River is a major component in the Winter Park-Fraser Valley's charm, with trails running parallel to it and fishermen welcome at most any stretch. Guide owned, full-service fly shop, and professionally guided fly fishing adventures on the Colorado River, Fraser River, and private streams. Wade & float trips available. Campgrounds and trails are situated close to the Fraser River, allowing visitors easy access. Due to its narrowness, the Fraser River is not very conducive to kayaking or rafting UNTIL it meets the Colorado River just outside of Granby. 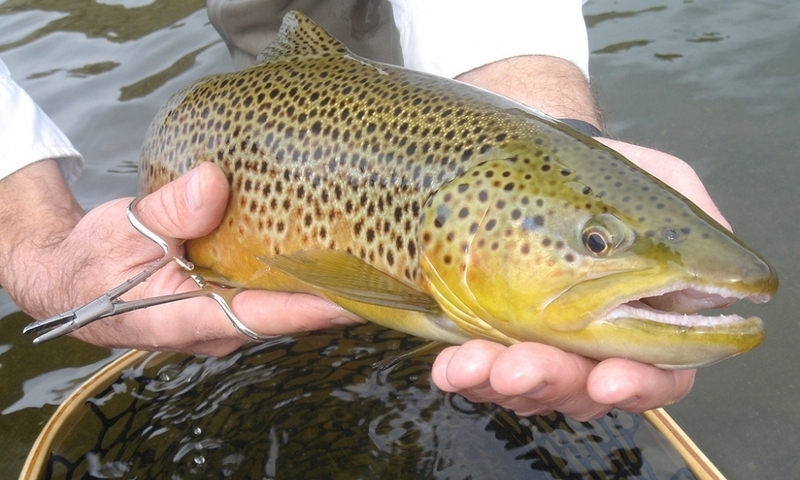 Fishing and fly fishing is permitted with a fishing license. The Fraser River is a tributary of the Colorado River; it flows northwest, starting on the high cliffs of the Continental Divide and Berthoud Pass, and travels eight miles through the Arapaho National Forest before flowing through the towns of Winter Park, Fraser and Tabernash. The Fraser River continues on through the canyons of Tabernash and then generally slips out of sight before it joins the Colorado River about two miles outside of Granby. In recent years, the river's flow has been at risk due to its bulk being diverted for Front Range causes, but efforts are being made to protect its river status. Wild rainbows, browns and cutthroat trout can be found in the river, and much of the river is accessible for fishing, with the exception of a few areas that run through private property in Winter Park. Luckily for visitors, the Fraser River largely runs through national forests or public lands. People can easily enjoy the river just by stepping off the trail that runs parallel to it, and the Idlewild campground is situated close by. From Winter Park, for quick access to the river, either park at the Winter Park Base or drive into the town of Winter Park itself and park near the Visitor's Center on US Highway 40. Hideaway Park sits right next to the Visitor's Center (across from the McDonald's) and the river runs just past the skate park and along a dirt trail. The Idlewild campground is found south of downtown Winter Park, off of US Highway 40. The Fraser River has a major presence in the Winter Park/Fraser Valley; visitors can meander along the river via a trail at the Winter Park Ski Resort, and then the trail connects to the Fraser River Trail, which is less than a half mile from the Base itself. This trail is paved for the first few miles and then periodically turns into a dirt trail, where it winds and intersects with other trails throughout the area. The Fraser River Trail connects to the Fraser to Granby trail, allowing pedestrians and cyclists to travel from Winter Park all the way to Granby. Fishing and fly fishing are permitted; local fishermen profess that the best fishing can be found in the canyons behind Tabernash.